It’s a real travesty I haven’t shared this recipe before. It’s a W-I-N-N-E-R. Big time. I love, crave and adore these cookies. So does my husband! For holidays and celebrations if he doesn’t request Peanut Butter Pie, he requests these. 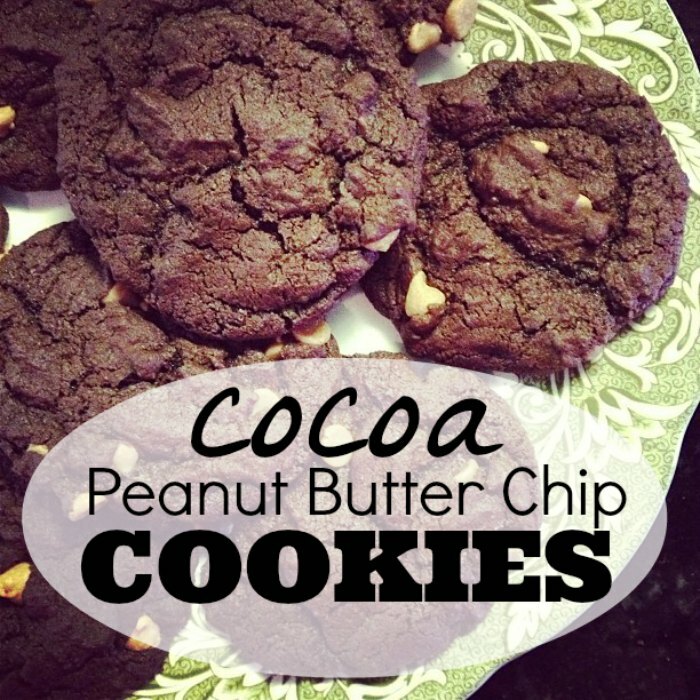 So yummy and the perfect companion to a glass of cold milk or a night cap cup o’ decaf. Preheat oven to 350 degrees. Combine dry ingredients in a large mixing bowl. In separate bowl, mix butter and sugar until fluffy. Add eggs and vanilla, beat well. Slowly add flour mixture, beating well. Stir in peanut butter chips. Drop onto un-greased baking sheet and bake for 12 minutes. Cookies will be soft when removed from oven, they will flatten and become more firm when cooled. Be careful not to over bake. Add this to your Father’s Day menu, ok? You’re dad/husband/ YOU will thank me! i've started adding a few tbs of cocoa pwd to one of our trusty chocolate chip cookie recipes, as well as subbing part of the butter with peanut butter. yum. so good.